Kanye West and Drake are set to appear in the upcoming movie Anchorman 2. 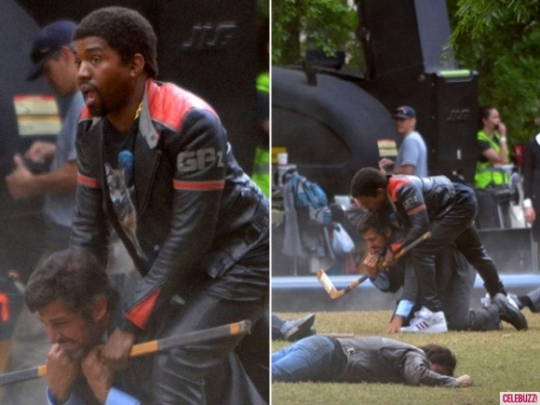 Photos have emerged online of them both shooting scenes for the Hollywood movie. 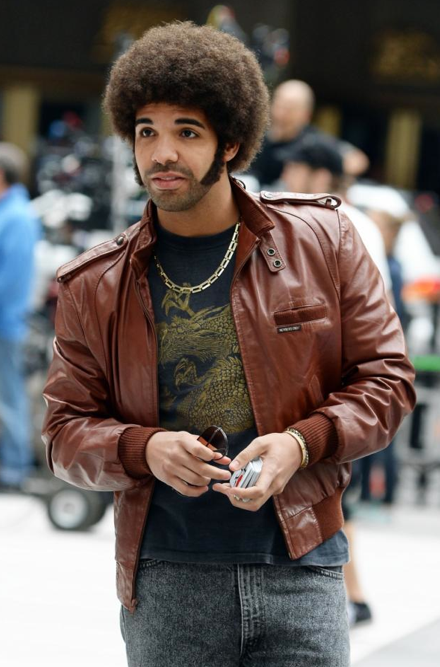 Drizzy can be seen sporting big hair and sideburns above. After the jump check out a picture of Kanye filming what looks to be a crazy fight scene.